The New Republic (filled with Jews you know) published a series of articles that vetted Paul and his Julius Streicher newsletters. The idea that they were published without his knowledge, consent or approval has been conclusively refuted. The initial article can be read here; the second follow up one can read here & the third and final one here. 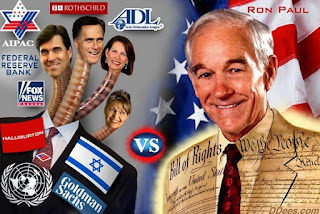 Google Ron Paul newsletters, Ron Paul Jews, Ron Paul David Duke. You'll think your toilet backed up into your mind. Paul's juvenile brand of libertarianism appeals to both a wide and narrow group of devotees. Most can be justly categorized as neo-hippies. Not too bright, reflexive, not previously engaged in politics for the most part. Their body odor at the MN GOP CD 3 convention was staggering. One national alternate from that fiasco had never voted before. You read that right. Another who was elected to its executive committee has already quit; too busy doing something else. MC can only guess what that might be but will be charitable, a rare instance when it comes to what MC calls the Paul zombies. The Paul notion of liberty is classic arrested development: unfettered individualism, a genuine sense of grievance that not everything goes. No legal heroin? Dictatorship! Raw milk regulations? Oppression. The word tyranny is dropped at a moment's notice. To live in America and pretend to feel this put upon is disgusting. But the victimization mentality is key to understanding the zombies, especially how the ones in Minnesota have executed a blitzkrieg during the caucuses and CD conventions, to say nothing of taking over various party structures themselves. In a word, the zombies routed real republicans. Much umbrage is taken when MC calls them not republicans but they themselves do not consider themselves such. Take them at their word, not their smoke and mirrors. Any party official who thinks they can be worked with is grossly mistaken. To cooperate is to be co-opted. Indeed, it could be said that trying to work with these fringe nutters is what has led to this month's wipe out in delegates going to the republican national convention in Tampa this August. The dealings at last week's CD 4 convention are instructive. The zombie delegates were prepared to take out the CD chair and the leading candidate for the state executive committee. Pat Shortridge, Matt Dean, Pat Anderson and others attempted to broker a deal. They apparently stressed that those two positions were a bridge too far for the friends of the friend of David Duke. 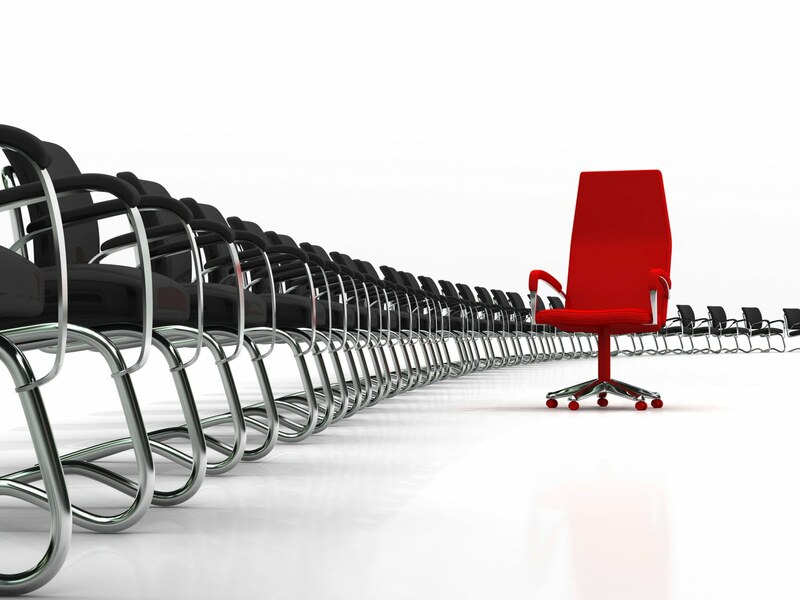 Leadership infrastructure was being cannibalized. Discussions with the highest levels of the Paul national campaign ceased when the zombies demanded the removal of one or more key persons involved in planning and organizing the RPM state endorsing convention next month in St. Cloud. Consequently those two positions were won by zombies. Neither are what one might call impressive. At one point MC (sixth alternate from SD 65, thank you) walked back into the convention when people running for elector to the Electoral College were giving their nominating speeches. Some yutz was explaining that he wanted to be an elector because only the Electoral College has standing to challenge Obama's birth certificate. A birther. It was the low point of a very low day. The zombies thought nothing of it. Then again, why would they? MC had a discussion with RNC committeewoman Pat Anderson after the convention gathering was euthanized. She believes the zombies can be worked with; MC believes they need to be purged. Most non-Ron Paul supporters side with MC. Paul zombies routinely claim that there is no difference between Obama and Romney. How does anyone work with a mind that closed? Ron Paul is a cult and an understanding of cults is your best guide to understanding how the zombies work. The cancer has infected the race for senate as well. Hand picked by Anna, the head Minnesota zombie, Rep. Kurt Bills is in over his head and it shows. Did he not vet Ron Paul? Apparently not. He approached MC when standing next to Andy Aplikowski at last week's senate debate. He got an earful about Ron Paul's Jew hating and generally kooky ideology. He didn't know Paul endorsed Cynthia McKinney for president in 2008. The teacher failed his test and retreated into the safety of the zombies in attendance. True to crackpot form, Bills would not endorse strong support of Israel. This is an ideology foreign to republicans and conservatives. If you don't want to support Israel, Obama's your guy. Speaking of not supporting Israel, Allen Quist, vying for the endorsement in Minnesota's CD 1 against Mike Parry, allegedly stated last weekend that he would cut off funding for Israel. That's ok, you see, because he'd cut it off for all other countries. Right. The Kurt Bills supporters threw in behind Quist, no surprise given their hostility to all things Jewish. But Michele Bachmann has endorsed Quist. Speak up, Michele. MC can't quite hear you. Rumor has it that the freak himself may address the state convention. In that case, a dignified walk out by everyone who has a shred of self-respect and dignity should take place. Shouting Paul down or protesting with signs and noise is a tactic of the left, with which the zombies have far, far more in common than with the right. If Kurt Bills gets the endorsement then Dan Severson and Pete Hegseth should both run in the primary. MC despairs of such courage from either man, however. They seem to think the endorsement matters and that to primary is to end their political careers. The exact opposite is the case, however. They claim to be leaders. Lead already. Paul zombies have remarkably short attention spans (insert favorite drug addled brain joke here) and that is one cause for hope. But it will not be enough to reclaim the party structure for mainstream republicans. They have to be taken back one battle at a time. This means activists can't completely despair. Take a break from the action while the zombies re-arrange the deck chairs? Certainly. But don't go down with the ship. There are lots of lifeboats bobbing around that will gather again to put the party right. Edamame republicans.™ Candidly, however, given the collapse of republican leadership, coupled with with zombie cancer, the destruction of the Minnesota GOP is almost complete. More than 30 House members have endorsed Kurt Bills. His Senate supporters are said set to be announced this week. What are they thinking? With Bills at the head of the ticket in Minnesota, the majorities in both chambers are further imperiled. Then again, their endorsement is a joke: these are the same people who elected current legislative leadership. Could every incumbent republican please quit and we run different people? A number of unfortunate events have come together to bring the MN GOP to its current sorry state. They have been amply detailed here, on other conservative and liberal blogs, in the national and international press. MC means to belabor nothing. It is worth noting, however, that the caucus system is a relic of the past and needs to be replaced by a primary. Activists have come together to support what Derek Brigham (@DerekBrigham on Twitter) has suggested: go to a primary, let the party apparat focus on what it does best, outsource the rest. In other words: follow the left model. There's never been a better moment to implement this idea. The zombie cancer won't kill but the cure will be unpleasant. So be it. On top of all this Andrew Breitbart is still dead. Was it Sen. Michelle Fischbach running from media in the halls of the Capitol? Was it the spinelessness of Sen. Senjem in refusing to vote out from the Rules Committee Right To Work? Was it the dithering of Gov. Zellers over a stadium bill? Was it the incompetence of the House & Senate in not having the same voter photo ID bill to pass? Was it Sen. Michel perjuring himself in the ethics committee hearing? Was it the failure of members in both chambers to condemn the death threats received by Rep. Mary Franson? Was it the criminal neglect of MN GOP Chairman Pat Shortridge to the hostile takeover of his party by Jew hating fringe Ron Paul zombies? Was it the shameful pandering to such morons by RNC committeewoman Pat Anderson--our Lucrezia Borgia--on Twitter under the fatuous "big tent" rubric? Was it the absence of Michael Brodkorb & Sen. Amy Koch? Yes to all of that and more. And the "it" to which all of these questions refer is the collapse of republican leadership. That collapse has been ongoing for some time. Now, however, what the base and the public has seen from the ersatz republican leadership has been nothing so much as an on going advert for their own electoral demise. Of course, with this group to point out the obvious is to be accused of causing what they themselves embody: failure. Consequently, republicans are left with a party in debt and with incompetent leadership (look for Shortridge on the side of a milk carton) pretending its death rattle endorsements have any real substance in the political real world. Worse, no suitable replacement is in the works to replace him. Word is that deputy-chair Kelly Fenton is thinking of running for chair in the next election. She should not. The House of Representatives is governed, if that's the word, by two men who would fail in the private sector. At least they have that in common with Obama. Neither Zellers nor Dean deserve reelection to leadership if, perchance, that body is held by the republicans this fall. MC is fairly certain, however, that the trained seals in the caucus will continue to applaud them on demand. Sometimes--who knew?--the fish doesn't rot from the head down. The Senate, apparently, is governed not at all. Free range senators.™ That body is a disgrace and an embarrassment. Unfocused, rudderless and venal, there is nothing to recommend it and MC is on its side! The antipathy between the House & the Senate is said to be difficult to overstate. Think of it as an incompetence duel. Friends of MC are quick to point out how, in hair raising detail, the Senate is worse than the House. Well yes but that's like choosing between the antebellum south and Al Sharpton. Must we? Minnesota republicans are left with the very legitimate argument that if voters give over both chambers in the legislature to the DFL we may as well turn out the lights in this state. MC believes that voters instinctively understand that argument. But everyone knows it's an argument of last resort. Having won a resounding, historic victory two years ago, the mediocre--even by Minnesota standards--leadership in the senate and house have let us down. Repeatedly and in public.